Braun Strowman doesn’t accept apologies very easily. 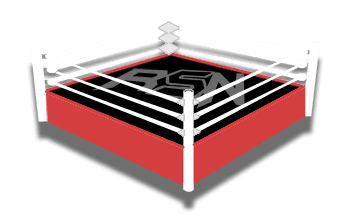 It seems like he is spending his road to WrestleMania feuding with Saturday Night Live stars instead of WWE Superstars, but that is his current direction. Colin Jost felt so bad about last week’s episode of RAW where he asked Strowman if wrestling is real that the entire cast of SNL apparently bought The Monster Among Men a new car. Strowman didn’t appreciate this gift very much at all. Braun Strowman tore the red sports car apart to show his disapproval of a vehicle he can’t fit inside. WWE and Mattel must have received word of this gift well in advance. 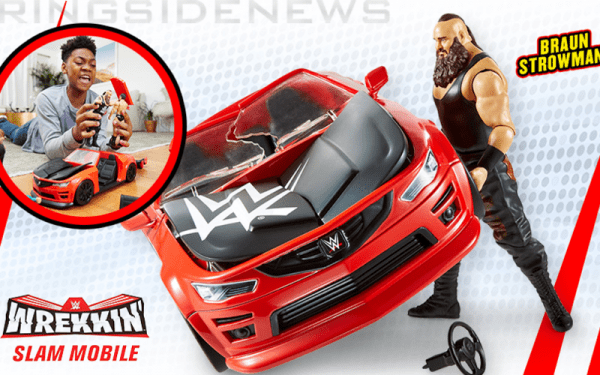 Because as soon as Braun Strowman started tearing that car apart on RAW, WWE’s official shop started selling a Braun Strowman playset featuring a car that he can tear up like he’s in a bonus level on Street Fighter II. You can check out the image below to see what appeared on WWE Shop’s main page during the show last night. If you’d like to buy one of these for yourself, it will set you back $29.99. This seemingly proves that at least WWE can book long-term if they’re talking about what Strowman is going to destroy next in a fit of rage.